This is aNew Era NFL Jacksonville Jaguars Logo Bobble Hat. Team: Jacksonville Jaguars. Style: Folded Fitted Bobble. Style Bobble Hat. Material Shell:100% Acrylic & Lining:90% Polyester 10% Woo. Colour: Blue. This is aNew Era NFL Seattle Seahawks Logo Bobble Hat. Team: Seattle Seahawks. Style: Folded Fitted Bobble. Style Bobble Hat. Material Shell:100% Acrylic & Lining:90% Polyester 10% Woo. Colour: Green. Style: Folded Fitted Bobble. Style Bobble Hat. Material Shell:100% Acrylic & Lining:90% Polyester 10% Woo. Colour: Green. Main Colour Green. United Kingdom. This is aNew Era NFL San Francisco 49ers Logo Bobble Hat. Style: Folded Fitted Bobble. Team: San Francisco 49ers. Style Bobble Hat. Material Shell:100% Acrylic & Lining:90% Polyester 10% Woo. Colour: Red. This is aNew Era NFL Buffalo Bills Logo Bobble Hat. Style: Folded Fitted Bobble. Style Bobble Hat. Team: Buffalo Bills. Material Shell:100% Acrylic & Lining:90% Polyester 10% Woo. Colour: Blue. United Kingdom. This is aNew Era NFL Tennessee Titanss Logo Bobble Hat. Style: Folded Fitted Bobble. Team: Tennessee Titans. Style Bobble Hat. Material Shell:100% Acrylic & Lining:90% Polyester 10% Woo. Colour: Blue. This is aNew Era NFL Indianapolis Colts Logo Bobble Hat. Style: Folded Fitted Bobble. Team: Indianapolis Colts. Style Bobble Hat. Material Shell:100% Acrylic & Lining:90% Polyester 10% Woo. Colour: Blue. This is aNew Era NFL Arizona Cardinals Logo Bobble Hat. Style: Folded Fitted Bobble. Team: Arizona Cardinals. Style Bobble Hat. Material Shell:100% Acrylic & Lining:90% Polyester 10% Woo. Colour: Red. This is aNew Era NFL Houston Texans Logo Bobble Hat. Team: Houston Texans. Style: Folded Fitted Bobble. Style Bobble Hat. Material Shell:100% Acrylic & Lining:90% Polyester 10% Woo. Colour: Navy Blue. 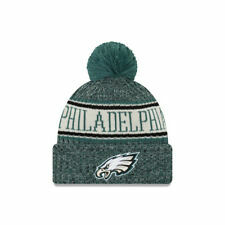 This is aNew Era NFL Philadelphia Eagles Logo Bobble Hat. Style: Folded Fitted Bobble. Team: Philadelphia Eagles. Style Bobble Hat. Material Shell:100% Acrylic & Lining:90% Polyester 10% Woo. Colour: Green. This is aNew Era NFL Carolina Panthers Logo Bobble Hat. Team: Carolina Panthers. Style: Folded Fitted Bobble. Style Bobble Hat. Material Shell:100% Acrylic & Lining:90% Polyester 10% Woo. Colour: Blue. This is aNew Era NFL Minnesota Vikings Logo Bobble Hat. Style: Folded Fitted Bobble. Team: Minnesota Vikings. Style Bobble Hat. Material Shell:100% Acrylic & Lining:90% Polyester 10% Woo. Colour: Purple. This is aNew Era NFL Atlanta Falcons Logo Bobble Hat. Team: Atlanta Falcons. Style: Folded Fitted Bobble. Style Bobble Hat. Material Shell:100% Acrylic & Lining:90% Polyester 10% Woo. Colour: Black / Red. This is aNew Era NFL Dallas Cowboys Logo Bobble Hat. Style: Folded Fitted Bobble. Team: Dallas Cowboys. Style Bobble Hat. Material Shell:100% Acrylic & Lining:90% Polyester 10% Woo. Colour: Blue. United Kingdom. This is aNew Era NFL Detroit Lions Logo Bobble Hat. Style: Folded Fitted Bobble. Team: Denver Broncos. Style Bobble Hat. Material Shell:100% Acrylic & Lining:90% Polyester 10% Woo. Colour: Orange. United Kingdom. This is aNew Era NFL Philadelphia Eagles Logo Bobble Hat. Style: Folded Fitted Bobble. Team: Philadelphia Eagles. Size: One Size Fits All. Style: Folded Fitted Bobble. Colour: Green. Size: One Size Fits All. NewEra NFL 2018 On Field Sport Knit Bobble Hat. Team colours, with the Detroit Lions, the New Era, and the NFL Cuff Logos.The Team title across the hat, and the team colour bobble. Double layered, with a Fleece style lining. This is aNew Era NFL Minnesota Vikings Logo Bobble Hat. Style: Folded Fitted Bobble. Team: Minnesota Vikings. Size: One Size Fits All. NewEra NFL 2018 On Field Sport Knit Bobble Hat. Team colours, with the Denver Broncos, the New Era, and the NFL Cuff Logos.The Team title across the hat, and the team colour bobble. Double layered, with a Fleece style lining. This is aNew Era NFL Carolina Panthers Logo Bobble Hat. Team: Carolina Panthers. Style: Folded Fitted Bobble. Size: One Size Fits All. This is aNew Era NFL San Francisco 49ers Logo Bobble Hat. Style: Folded Fitted Bobble. Team: San Francisco 49ers. Size: One Size Fits All. This is aNew Era NFL Baltimore Ravens Logo Bobble Hat. Style: Folded Fitted Bobble. Team: Baltimore Ravens. Size: One Size Fits All. This is aNew Era NFL Seattle Seahawks Logo Bobble Hat. Team: Seattle Seahawks. Style: Folded Fitted Bobble. Size: One Size Fits All. This is aNew Era NFL Jacksonville Jaguars Logo Bobble Hat. Team: Jacksonville Jaguars. Style: Folded Fitted Bobble. Size: One Size Fits All. This is aNew Era NFL Tennessee Titanss Logo Bobble Hat. Style: Folded Fitted Bobble. Team: Tennessee Titans. Size: One Size Fits All. This is aNew Era NFL Dallas Cowboys Logo Bobble Hat. Style: Folded Fitted Bobble. Team: Dallas Cowboys. Size: One Size Fits All. This is aNew Era NFL Atlanta Falcons Logo Bobble Hat. Team: Atlanta Falcons. Style: Folded Fitted Bobble. Size: One Size Fits All. This is aNew Era NFL Detroit Lions Logo Bobble Hat. Style: Folded Fitted Bobble. Team: Denver Broncos. Size: One Size Fits All. This is aNew Era NFL Detroit Lions Logo Bobble Hat. Style: Folded Fitted Bobble. Team: Detroit Lions. Size: One Size Fits All. This is aNew Era NFL Indianapolis Colts Logo Bobble Hat. Style: Folded Fitted Bobble. Team: Indianapolis Colts. Size: One Size Fits All. This is aNew Era NFL Buffalo Bills Logo Bobble Hat. Style: Folded Fitted Bobble. Team: Buffalo Bills. Size: One Size Fits All. This is aNew Era NFL Houston Texans Logo Bobble Hat. Team: Houston Texans. Style: Folded Fitted Bobble. Size: One Size Fits All. This is aNew Era NFL Arizona Cardinals Logo Bobble Hat. Style: Folded Fitted Bobble. Team: Arizona Cardinals. Size: One Size Fits All. This is aNew Era NFL Cincinnati Bengals Logo Bobble Hat. Team: Cincinnati Bengals. Style: Folded Fitted Bobble. Size: One Size Fits All. NewEra NFL 2018 On Field Sport Knit Bobble Hat. Team colours, with the Atlanta Falcons, the New Era, and the NFL Cuff Logos.The Team title across the hat, and the team colour bobble. Double layered, with a Fleece style lining. This is aNew Era NFL Cincinnati Bengals Logo Bobble Hat. Team: Cincinnati Bengals. Style: Folded Fitted Bobble. Style Bobble Hat. Material Shell:100% Acrylic & Lining:90% Polyester 10% Woo. Colour: Orange / Black.